Evercool’s Zodiac Aluminum Notebook Cooler surpasses standard plastic notebook coolers efficiency by 10 to 20%! Fitted with twin 70mm silent fans, the Zodiac keeps a steady flow direct at the bottom of your laptop while its aluminum chassis quickly wicks heat away. 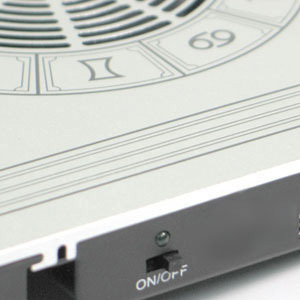 The Zodiac also features dual high-speed USB2.0 ports for connecting peripherals and two storage drawers for keeping miscellaneous tchotchke. So make the smart choice and follow the Zodiac way with the Zodiac Aluminum Notebook Cooler from Evercool.